Elegant and yet playful. 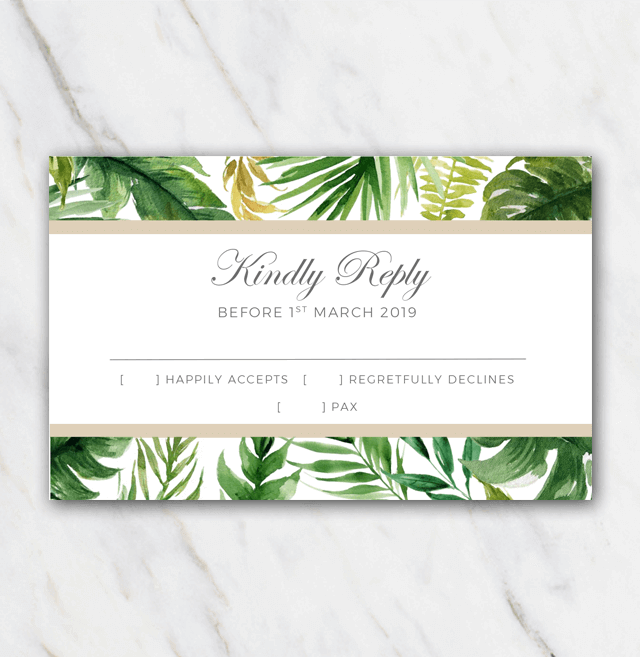 This wedding rsvp template looks really playful with the palm tree leaves on it, but it still has a very sophisticated touch to it due to the golden borders and the graceful fonts being used. Don't forget to check out the corresponding wedding invitation template and wedding save-the-date template. Not a huge fan of palm tree leaves? Have a look at the overview page with all of the other wedding rsvp templates offered here at Temploola.